Plastic can get out of my life, like, yesterday (click here to see why). 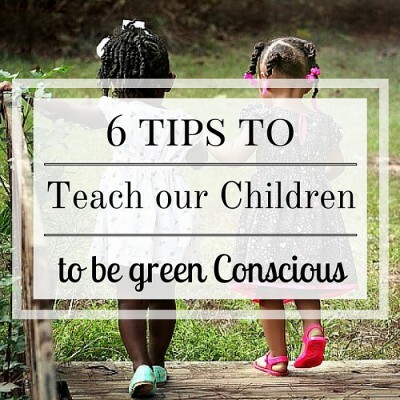 I want my children to play with natural toys. Wood is an excellent toy material because it is sturdy, it fosters imagination and creativity, and it is non-toxic and environmentally friendly. Plastic toys tend to have lots of bells and whistles, meant to stimulate and distract children. Wooden toys are simple, they are meant to encourage your child’s own imagination. Plastic toys are not nearly as sturdy as wooden toys, eventually breaking or loosing parts. In the end, they finish their life as part of a heap of garbage in the landfill. Wooden toys tend to have a level of quality and creativity that just can’t be matched with plastic. Wood toys are meant to be open-ended, to allow for your child’s imagination to take the lead. Plastic toys are presented in a certain way, and meant to be played with in a certain way, diminishing some of the creativity that a child can bring to play. At first thought, you may think that wood toys are wasteful and harmful to the environment, but they are not. Wood toys are often made from wood that is grown on a renewable and sustainable tree farm. These sustainable forestry methods ensure that the environment is not damaged and that reforestation is possible. Wood toys are biodegradable, returning to the Earth after their usefulness has passed (after many years , if not generations of play). Plastic toys are made with unsustainable materials that are not biodegradable and can leach toxic chemicals into the environment. Wood toys have a long life span, once your child has outgrown them, they can be passed along to someone else. Plastic toys often break or loose their appeal after a short period of use. Many of these plastic toys are poorly made, and often just end up in the garbage. Their paint eventually starts peeling, they lose parts, or they stop working. One of the biggest issues I have with plastic toys is a safety concern. Many of the plastic toys available are made with PVC plastic, a plastic that has leaching properties. Your child will absorb these chemicals either through their skin or through their mouth. 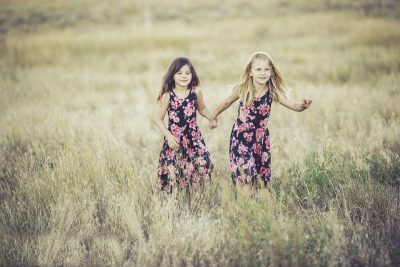 Phthalates in plastic can disrupt hormones, which is especially bad for developing children, their bodies are constantly undergoing changes that are orchestrated by hormones, it is detrimental for them to have this system tampered with. Wood is a natural item that does not leach dangerous chemicals. A natural wood toy can be slobbered on, touched and put in a baby’s mouth without worry. When looking for wood toys, we need to be aware that just because a toy is made of wood, does not automatically mean it is safe. Some wood toys that are painted with toxic paint, or made with chemically treated wood. We need to do our research when looking for a high-quality, safe wooden toy for our children. If you are going to make you own wood toys for your kids, make sure the wood has not been treated with chemicals, and be aware of the type of paint you are going to use. Where are the Toys Produced? If the toys you are looking to buy are made in China, then you may have a problem. Toys made in China can contain lead paint, there have been hundreds of recalls on toys made in China because of lead in paint (check out this recall from 2007). American and European made toys cannot contain lead paint, as it is illegal. Toys that have been made in China are often made with cheap labor, shoddy environmental practices, and poor resource management. European made toys are often made with quality craftsmanship and clever design. Europeans have high standards when it comes to materials, wages, safety, and the environment. Toys made with sustainable wood grown on managed plantations are the best choice. Look for natural, non-toxic paints and beeswax as a sealant. Generally, wood toys can cost more than plastic toys, and a high-quality wood toy is going to cost more than a cheaply made wood toy. In the case of wood toys, cost reflects quality. The wonderful thing about wooden toys, is that they will last for generations, so they should be seen as an investment. The best types of wood toys for kids are building blocks, play kitchens, dollhouses, movable vehicles and ride-on toys. These types of toys will get the most use. With more and more wooden toy companies popping up, it is easy to get overwhelmed by the amount of choices available. I have 3 kids and I have bought various wood toys. Some of them are ones I was so excited to gift to my children, only to find that they didn’t really play with them. I have found through trial and error which toys are liked by most children. 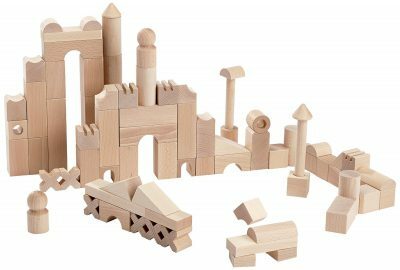 My favorite brands make high-quality wooden toys and are included in the following list. 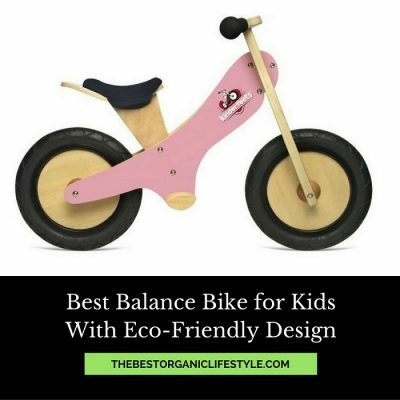 I have only included brands that use sustainable wood and non-toxic paints. These companies take exceptional pride in their products and are not made in China. The following toys are a great investment, most kids will love and actually play with these toys. 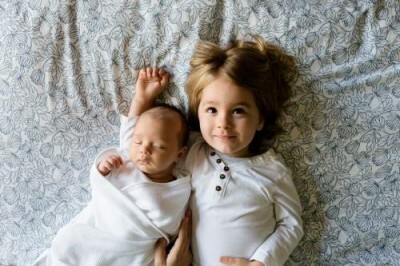 I have only included toys that my kids (as well as their friends) have played with and liked. When buying toys for kids, it is nice to know that your purchase will be loved and cherished. All of the toys I recommend are available on Amazon, for your shopping convenience. Children love to pretend they are adults and the kitchen represents the heart of the home. My kids love playing with their play kitchen, and it has had many, many years of use. From making potions for their wizardry, to playing restaurant, a play kitchen can become a central part of a variety of imaginary games. Wooden play kitchens have a special quality to them, they radiate warmth. 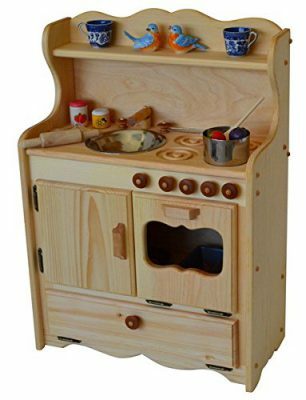 I much prefer a wooden play kitchen over a plastic play kitchen. Elves and Angels is a brand that makes exceptional quality wooden play kitchens. These play kitchens will be cherished by you and your children for years to come. They are well built and will retain their value even after many kids have used it. You will never have to buy another play kitchen again. You will even be able to pass it down to your grandchildren. These play kitchens are made in the USA with locally sourced Eastern White Pine and Hardwoods (no particle board), they are never made in China or made with slave labor, and they are covered by a lifetime guarantee. Blocks are a staple children’s toy. They can be used for a variety of purposes and stimulate the imagination. Blocks will be used by children of all ages and genders. The best wooden blocks are those that stack well and come in a variety of shapes. These will offer the best playing experience. You don’t want blocks that can’t stack or are all the same shape. Haba offers an amazing building set that is sure to please any child. These blocks are made in Germany with untreated beach wood. They are very well crafted and will last for a lifetime. I recommend getting the extra large starter set, it will give you a really good base for building. If you buy a smaller set, you are going to be left wanting more blocks. This set comes with 102 pieces in a variety of shapes and sizes. They are heavy, sturdy and soft and come with a canvas bag for storage. Dollhouses aren’t just for girls. Boys will enjoy playing with this dollhouse as well. A good dollhouse will enjoy years of play. My kids always loved playing with their dollhouse. Plan toys makes an excellent quality dollhouse out of recycled rubber tree wood. This dollhouse comes with furniture, which is nice, as many dollhouses come unfurnished. 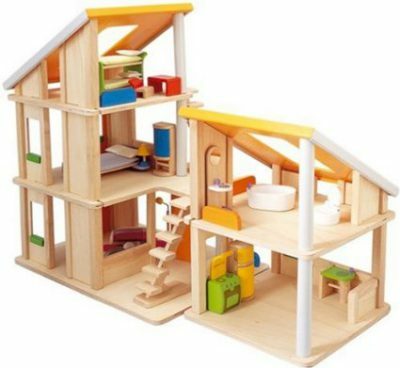 This house is made of 2 units that can be configured in a variety of ways, it is an excellent dollhouse for multiple children to be able to play at once. When we are looking to buy natural toys for our children, wood can’t be beat. It is sturdy and has a warmth that cannot be recreated by plastic. If you are going to spend money on a toy, you are best to buy something that is going to last. This will give you the most bang for your buck. The above toys are chosen as the best because they are created with integrity and quality in mind. They are going to open the doors to your child’s imagination and creativity. Do you have any wood toy suggestions? What do your kids like to play with? I think paying attention to the nontoxic sealants is the most important part of finding wood toys. Aside from that, most wooden toys are pretty awesome. They are near indestructible, and can be refinished, sanded, painted, or whatever you need to keep them up. Yes, Jack, non-toxic sealants are important! 🙂 I have made wooden toys for my kids before and used a non-toxic, beeswax-based finish for them. Many parents loves to buy toys for their children. I am sure they would love to know about this. Great idea for sharing this! Plan Toys is number one on your list, however, they are made in Thailand. Just wondering why you would recommend them. Are any of the other wooden toys made here in the US? They are made in Thailand, yes, but not in a sweat shop. 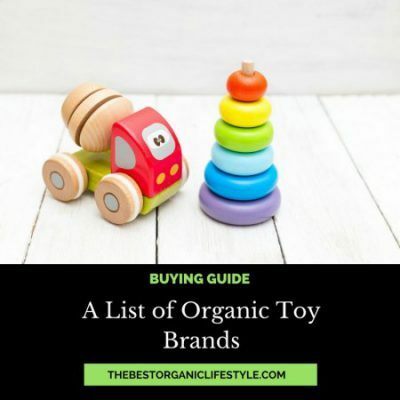 I recommend them because they make their toys from sustainable rubber wood, and take sustainable toy production very seriously. You can buy American made wooden toys at Our Green House. I plan on writing a new article on this topic with more toy brands, so stay tuned! Kapla is a fantastic brand. Better than legos. Cool, thanks Mila, I have not heard of this brand.